Alan Paul says the final scene in Shakespeare’s “Antony and Cleopatra” is unusually well suited to alternate interpretations. And with “Fire and Air,” a work he collaborated on with Bowen McCauley Dance, he’s getting the chance to try it. Paul is directing the piece, which will feature a rare performance by Lucy Bowen McCauley. It’s one of two world-premiering works slated for April 5-6 at the Kennedy Center’s Terrace Theater. Details are at bmdc.org. Paul knows Shakespeare — he’s associate director at the Shakespeare Theatre Company in Washington and says he was fortunate to get a fellowship to work with the legendary Michael Kahn. Paul, 28, grew up in nearby Potomac, Md., and also lived in Chicago for a time. 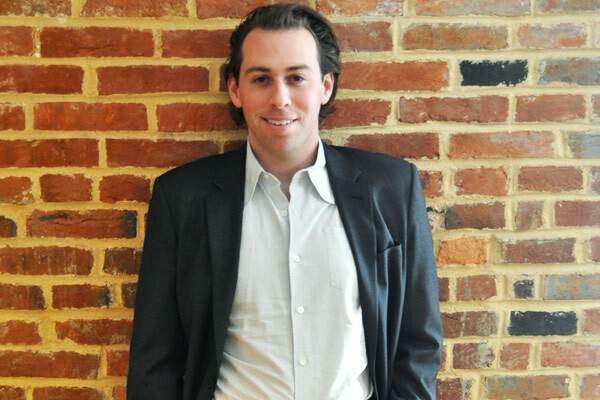 He now lives in Logan Circle and enjoys theater, opera, piano, travel and dinner with friends in his free time. I have been out since I was 15 and because I have always been in the theater, I was “in good company” from the start. Going to musical theater summer camp didn’t hurt. Meryl Streep. But she’s a hero to all humans, right? Larry’s Lounge: Casual. Low key. Strong drinks. Surrounded by my family and friends on a beach along the Pacific. The 14 times Meryl Streep lost the Oscar. I wrote to Bob Mackie when I was 9 years old and he sent me a handwritten letter. That was definitely a moment to remember. I posted a picture of the empty, but awe-inspiring, Strathmore Concert Hall. There is always something magical about an empty theater. I wouldn’t change a thing. We must accept people, and ourselves, as we are. I believe that the energy we get back from the world is often indicative of the energy we put into the world. I am in awe of their bravery and their patient commitment to pursuing equality. We are all the direct beneficiaries of their hard work and I would rather take their advice than give my own! Does “A League of their Own” count? And wouldn’t it make a terrific Broadway musical? Are the stage rights available? During spring break of my senior year in college I met one of my heroes, Molly Smith, and she asked me to assistant direct her production of “Cabaret” at Arena Stage. That started it all and I moved to D.C.